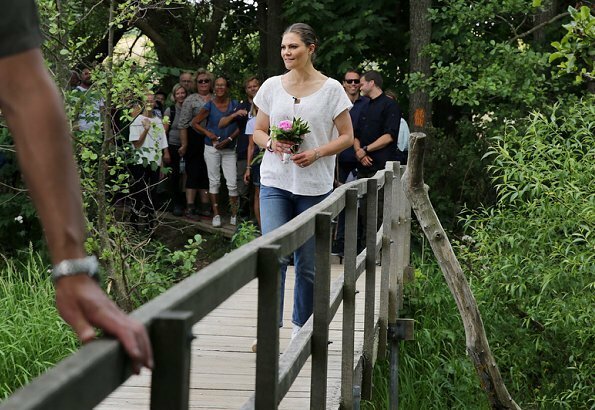 Crown Princess Victoria's 12th hiking in the landscape of Sweden takes place in Skane on June 12. 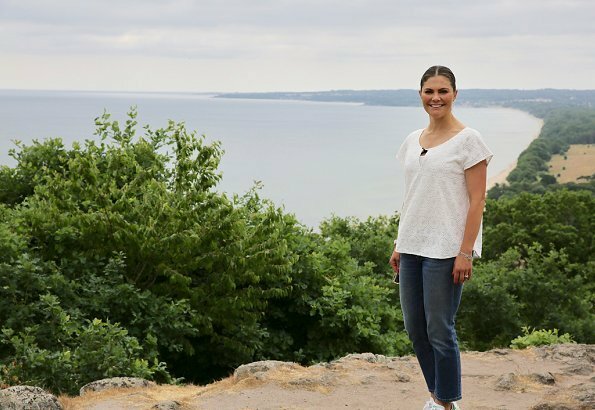 The route of Crown Princess Victoria's 12th hiking continued with Stenshuvud national park, Vitemölla, Verkeån, Backaleden, Haväng and Brösarps. 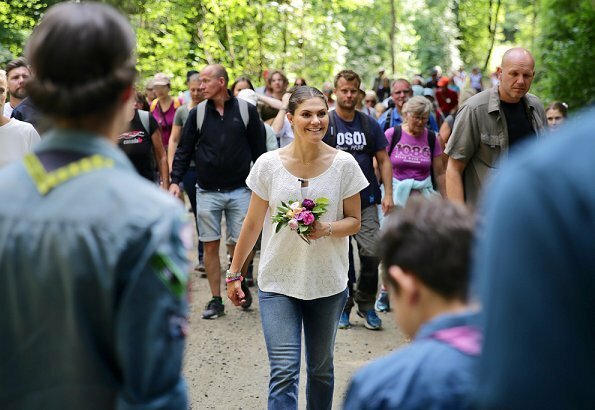 During the hiking, the Crown Princess visited Österlen Natural School. 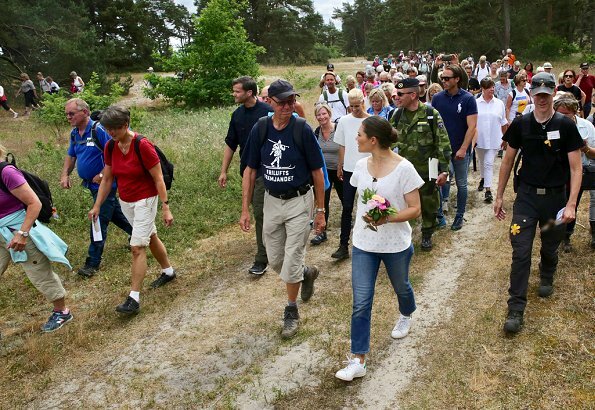 Thus far, the Crown Princess completed hikings in Västergötland, Västerbotten, Östergötland, Värmland, Blekinge, Närke, Lapland, Gotland, Öland and Bohuslän. 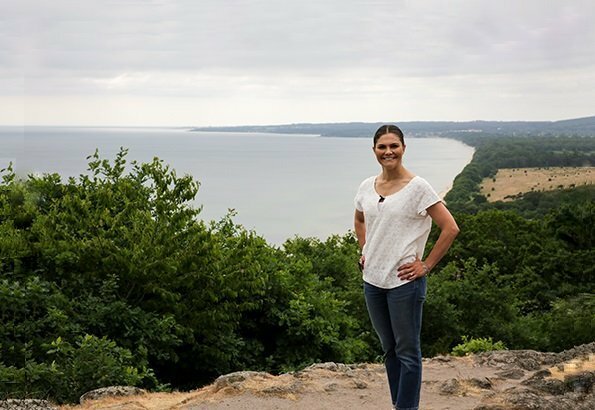 Such a hard-working woman! It is easy to see why her hair is not a high priority in her mind. She has much to plan and consider. 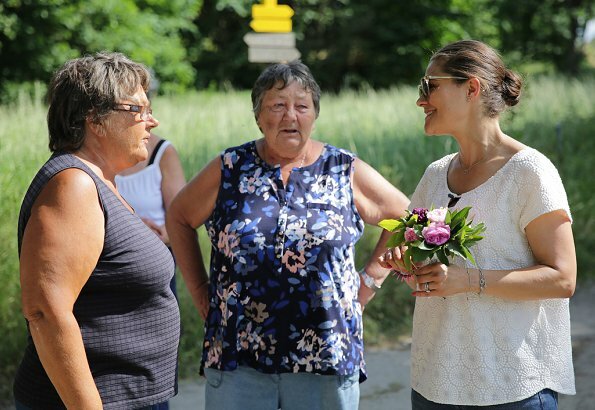 Her family and country are uppermost in her life and are lucky for that! @KH I could not agree more! 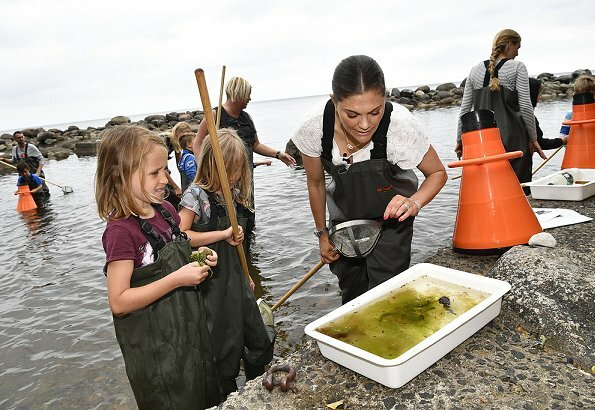 Lucky Swedes. Here we go again sun water nature and lots of my people hiking with me. Very nice smile to go with everything. 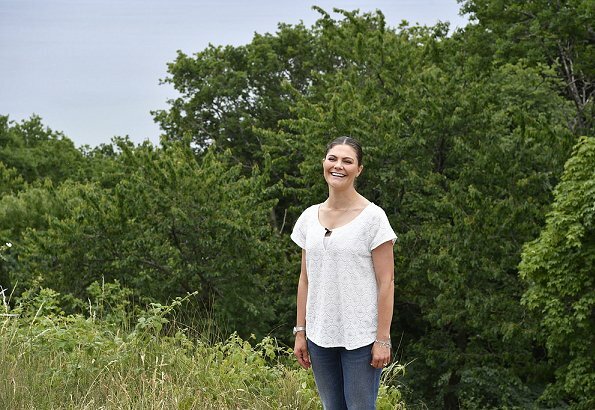 One can easily see why this lovely woman is so popular! 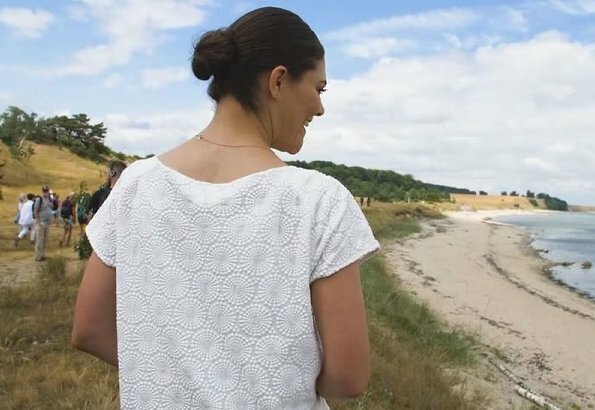 Princess Victoria of Sweden looks fabulous behind beautiful nature views of Sweden. Victoria does a very good job!